Diego, artista de la comunidad de Mocagua, pinta un mural en la casa de Don Juan Sangama en el Barrio Victoria Regia. Diego, a local artist from the community of Mocagua, paints a mural in Don Juan Sangama’s house, located in the Victoria Regia neighborhood. Doña Raimunda vive con su esposo en la Calle 10 del Barrio Victoria Regia. Cuenta muy orgullosa que su hijo está haciendo un doctorado en Sicología en Italia gracias a una beca que ganó. Su casa, al igual que el resto de las casas de esta calle, fue pintada por artistas de la comunidad de Mocagua en el marco de un proyecto para dignificar la vivienda en este barrio informal de Leticia. Doña Raimunda lives with her husband in 10th Street of the Victoria Regia neighborhood. She’s very proud to say that her son is doing his PhD in Sicology in Italy, thanks to a scholarship he won. 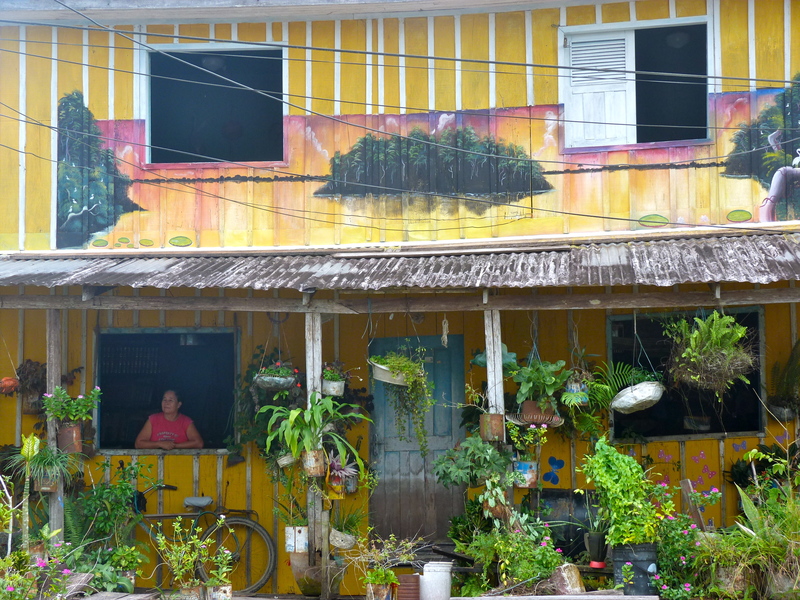 Her house, as the rest of houses in this street, were painted by artists from the community of Mocagua, as part of a project to dignify the living conditions of the families of this informal settlement of Leticia. Dos hermanas Vicentinas miran el atardecer sobre el Río Amazonas en el muelle de carga de Leticia. 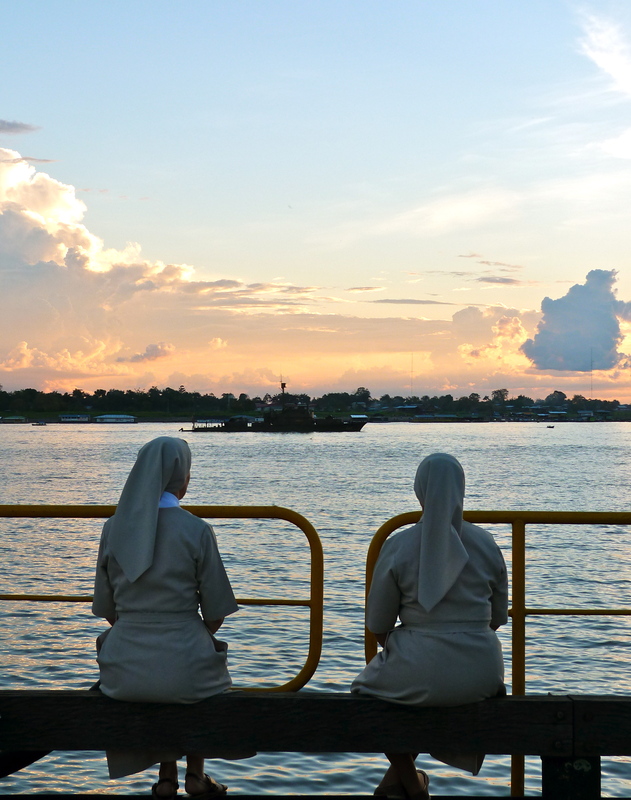 Nuns of the Vicentine community relax watching the sunset over the Amazon River in Leticia’s port.